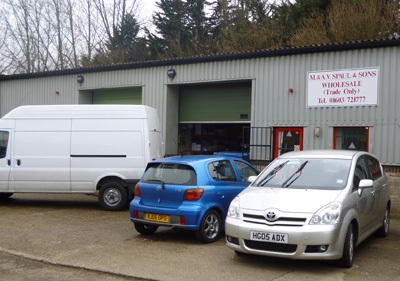 M & A V Spaul & Sons is a family run wholesale business founded in 1983 supplying general stores, post offices, newsagents & mini markets in the Norfolk, Suffolk, Cambridgeshire & Lincolnshire area with confectionery, stationery, hardware, haberdashery, chemistry & drapery. Our strength has been being able to supply in small quantities at no extra cost. We pride ourselves on the quality of our service and are always glad to help. As a wholesale business we do not sell to individual members of the public looking to purchase for themselves. Visitors are always welcome but please phone prior to your first visit. Our online shop is used to place your order. When you submit your order we will process your order and contact you with the total amount to be paid. We will then process payment over the telephone. We accept all major debit and credit cards. If you are an existing customer we will process your order and bill in the usual way. If you are part of the Gainsmore Buying Group we will need your Gainsmore account number so we can bill through the Gainsmore Group. We regularly add new items to product lines, following up on requests from our customers and market trends. Have a look at some of our newest items.